When you have created your onlineshop, the main challenge remains to develop your marketing skills, so that you can increase your sales. With our Widget block, you can easily create custom buttons, that allow you both to increase your revenue and to improve your website. Here is a detailed guide for the creation of your Calls to action. As we have already seen it, it is essential, when you own an onlineshop, to create calls to action, that is to say custom buttons which encourage your visitors to take action. These marketing tools are very effective and allow you to increase your conversion rate and thus to significantly increase your revenue. 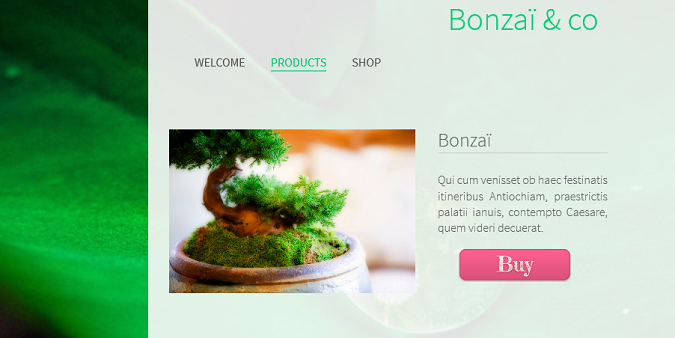 Custom buttons allow you to get people to view your products, to get information about your onlineshop (by downloading a file for instance) or to buy your products. An efficient call to action should be clear and highly visible: use bright colors and action verbs! With custom calls to action, you will be able to improve your onlineshop: people will find it easier to browse your website and store and they will appreciate it. Moreover, calls to action allow you, in addition to being aesthetically pleasing, to customize your website design. Finally, your calls to action will allow you to get more customers, for example, by adding a button encouraging your visitors to subscribe to your onlineshop newsletter. How to create calls to action on your website? You now know how you can boost your onlineshop sales and increase your revenue, by adding custom buttons or calls to action to your website. It is up to you now! Custom URL: can it improve your SEO?